Well this was my first trip to Poland and the first stop was Warsaw or Warszawa (pronounced “Varsharva”) as it is know to the Polish. Warsaw is the capital of Poland. Warsaw has a population of around 1.7 million and is located just off the Vistula river. My visit in Warsaw was quite short as I spent most of my time in Kolo (pronounced “Kowo”), as you can see my Polish lessons are paying off 😉 Due to missing my flight I actually spent around 3 days in Warsaw, which turned out to an expensive accident as it was actually three flights which were affected. Luckily we got free accomodation at a friends so we were only set back around £250 for re-arranging the three EasyJet flights. 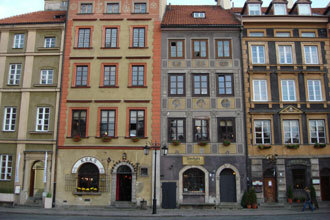 Warsaw has two historic districts the original Old Town (Stare Miasto) and the New Town (Nowe Miasto). Nowe Miasto is as you would expect for a modern city, but Stare Miasto is really really nice. In fact it is quite similar to Prague and it’s market square. The architecture is truely magnificant set on cobbled streets. The new town, Nowe Miasto, is home to the Joseph Stalin Palace of Culture and Science (Palac Kultury i Nauki imienia Jozefa Stalina) which began construction in 1952 and was completed in 1955. The skyscaper was a gift from the Soviet Union, the amusing thing to me was that Poland was offered either a museum or underground train system. They choose the musuem, I bet they are now all wishing they voted the other way 😉 Nearby there is an incredible looking glass dome roofed shopping centre. I’m not often one to appreciate a shopping centre but the design was amazing. 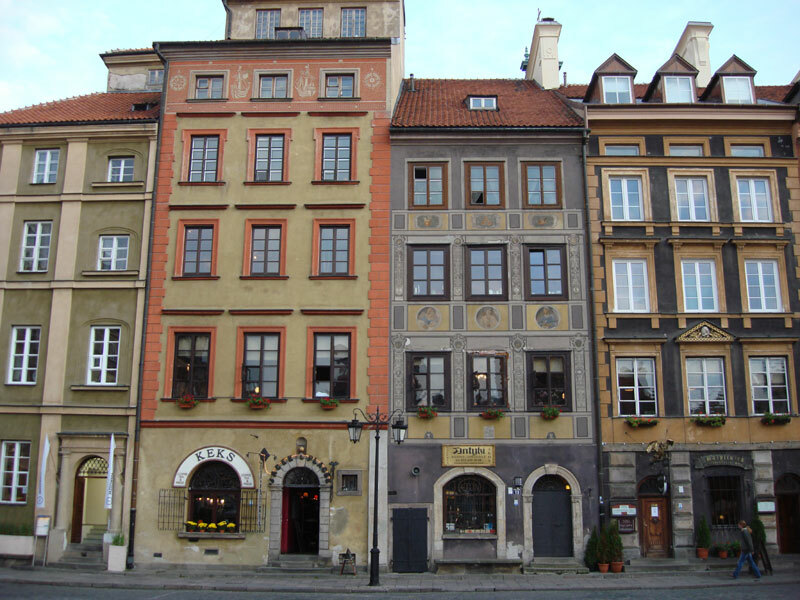 One note on Stare Miasto in Warsaw – it is entirely a modern reconstruction. It’s charming, but reminded of Disney in the way that its not authentic (unlike Prague, which you also mentioned). For the life of me, I don’t know how they got a UNESCO World Heritage Site designation for a reconstruction.